Injuries from burns are often among the most severe and painful types of personal injury. According to a recent news report from WWLP, grease and steam are the leading causes of burn injuries in Massachusetts. The State Fire Marshal for the Commonwealth of Massachusetts urges people to be more aware of the dangers associated with unattended cooking, and hopes to educate people through his work with National Burn Awareness Week. 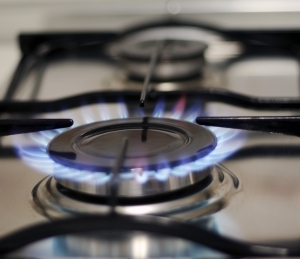 While many people think of a structure fire as the leading cause of burns, cooking grease and steam cause far more severe burns in Massachusetts each year. As he noted when being interviewed, simply tipping over a pot of hot soup can lead to serious burn injuries. Our burn injury lawyers in Boston also urge you and your family to be safe when cooking. Some simple things you can do to prevent being burned is to use back burners whenever possible, and turn handles away from the front of the oven to prevent them from being accidentally hit in a manner causing an accident. You should also never leave anything unattended while it is cooking on the stove or in the oven. A fire in the kitchen can quickly spread to other parts of the home and people can become serious injured. Even if they are not burned by actual fire, smoke inhalation in a leading cause of death and injury in fires. If you are the victim of a burn injury that was someone else’s fault, you should contact a personal injury lawyer, so you can discuss your rights to a full and appropriate financial recovery. Burn injuries can be extremely painful, leave people susceptible to deadly infections, and damage skin, nerves, muscle tissue, and even bone. While most people think third degrees are the most serious level of burn injuries, medical professionals are also familiar with fourth degree burns. A fourth degree burn is defined as a burn that includes destruction of muscle tissue and bone. Regardless of whether a burn is third or fourth degree, serious burns often require extensive medical treatment including vascular surgery and skin grafts. They can also leave a patient severely scarred or otherwise disfigured for life. Medical bills associated with serious burn injuries are typically extremely high. In many cases, the hospital must place a victim in an isolation room to prevent a patient from developing serious infections. It is very difficult for the human body to resist infections when the protective layers of skin have been destroyed. When choosing a personal injury attorney for a burn injury, it is best to make sure he or she is familiar with these types of cases. They often require extensive pretrial discovery and litigation to fully prove the extent of a victim’s damages including pain and suffering, medical bills, future medical expenses, and other special damages. A burn victim may have a serious reduction in their quality of life following a burn accident due to someone else’s negligence, and this loss must be proven in terms of financial cost to the victim.